Today is “International Volunteer Day” and Youth Business Trinidad and Tobago (YBTT) joins with the rest of world in saluting persons who volunteer their time and effort towards global development at varying levels. Volunteerism in its purest sense is giving of one’s time and energy to various causes which require a great effort for many, but for some, it is a display of goodwill and passion in helping others succeed in being the best that they can be. 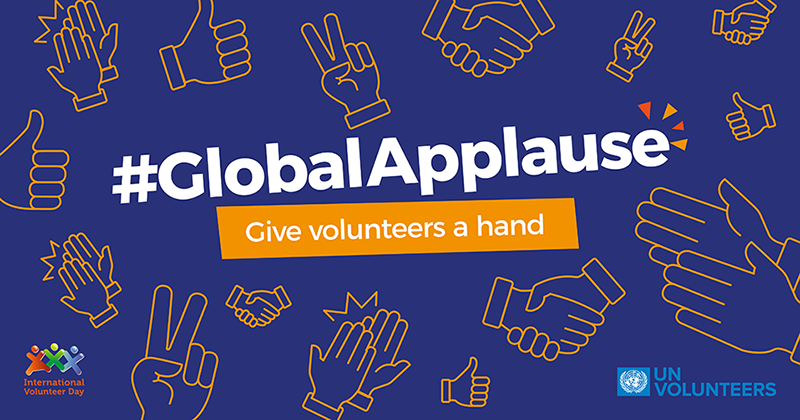 The power of volunteerism permeates throughout the many facets of the sustainable development agenda for governments, NGOs, and CBOs, as it strengthens engagement and mobilization of communities and individuals. YBTT boasts of having some 40+ mentors on their mentorship database, all possessing diverse profiles that span across a broad spectrum of disciplines included but not limited to Marketing, Human Resource Management and Industrial Relations, Financial and Cash Flow Management, Marketing and Communications and Business Development. Of the three (3) streams of services offered by YBTT, mentorship sits at the top as it focuses on the after-care support provided to young entrepreneurs post-training and loan financing. As we salute our mentors, we are calling business professionals who are committed to the development of youth entrepreneurship in Trinidad and Tobago, to get on board by calling YBTT at 665-8621 or email us at entrepreneur@ybtt.org. UNDERSTANDING YOUTHS THROUGH THE EYES OF GREGORY SLOANE-SEALE! He wears many hats, but interestingly, each of those is related to his vested interest in guiding and supporting the development of youths at varying levels! Gregory Sloane-Seale currently heads the Citizen Security Programme, an initiative of the Ministry of National Security, whose objective is to contribute to the reduction of crime and violence in over 90 “high needs” pilot communities throughout Trinidad and Tobago. 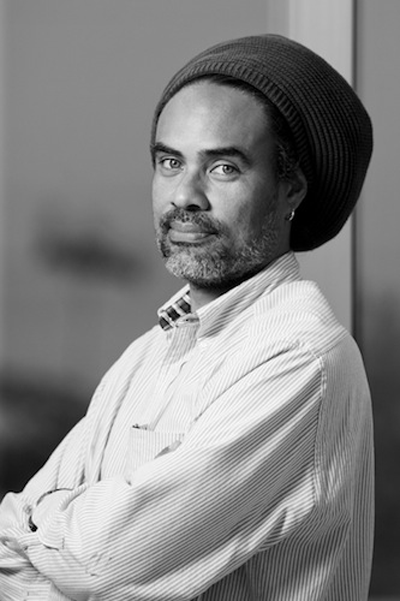 He is the holder of a BA in Sociology and Psychology from the University of Windsor, Canada and an MSc. in Organizational Management and Leadership from Springfield College, Massachussetts, USA. Sloane-Seale’s return to Trinidad and Tobago in 1994, resulted in volunteer work with “Families in Action.” That experience revealed that Trinidad and Tobago is not as proactive in social services particularly in treating with risk factors that affect youths. 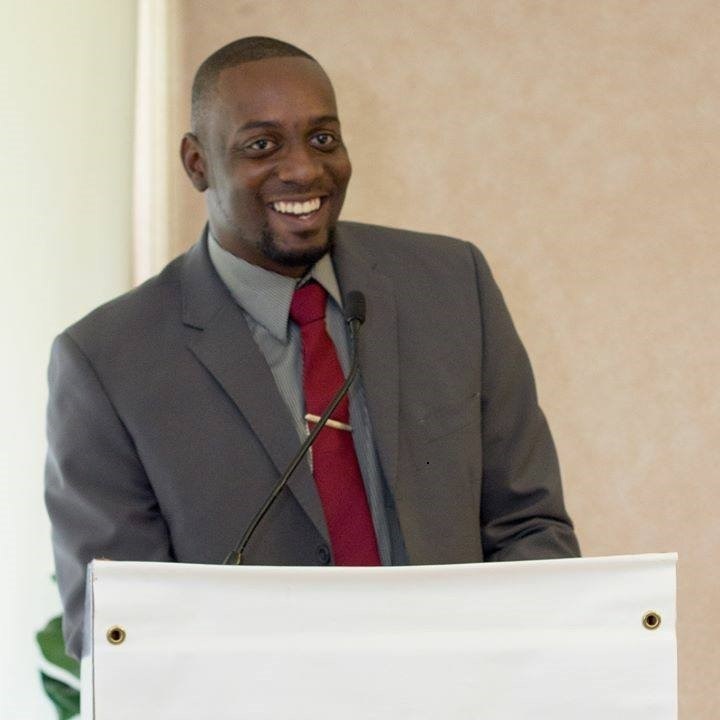 Sloane-Seale admitted “there was an absence of peer counselors which is a crucial element in transitioning Trinidad and Tobago into a more progressive society.” Whilst working with Families in Action, he also visited St. Vincent De Paul once weekly to provide support to displaced youths. The greatest strength of this initiative, was its ability to influence others to share in the experience. As Sloane-Seale puts it “there was no need to promote the programme as the impact of the programme was evident amongst its participants who promoted it, by introducing other youths who were in difficult circumstances to join.” He strongly believes that more options should be made available that would allow adults who work with youths to be able to better understand why they behave and react in ways that they do, based on a particular set of circumstances. Sloane-Seale also believes that the vision for youths has become blurred by bureaucratic challenges. “There needs to be youth-friendly spaces or centres with the capability to facilitate their development, particularly for those who are disenfranchised; the authoritative approach has now become antiquated, unresponsive to our times, and does not allow for the development of critical thinking and self-regulation”. Sloane-Seale alluded to the fact that from the age of 5-7 years, adults should be able to engage children in a manner that can promote logical thinking. The issue of sexual and reproductive health is also critical to youth development. “Lack of public awareness coupled with the absence of a sustainable programme in schools and other designated spaces, prohibits youths from making informed choices” said Sloane-Seale. Throughout his daily interactions with youths, there are two (2) common trends of thoughts – they feel abused and taken for granted?? In going forward, Sloane-Seale continues to advocate for change in the way individuals and institutions including parents, caregivers and authority figures think, in relation to how youths should be treated. He is convinced that before positive changes can be totally visible in youths, adults need to introspect and initiative change within themselves. Many would agree, that the gateway of success to the start of one’s entrepreneurial journey, is the development of a solid and sustainable Cash Flow statement which paints the financial picture of a business for a specific time period. 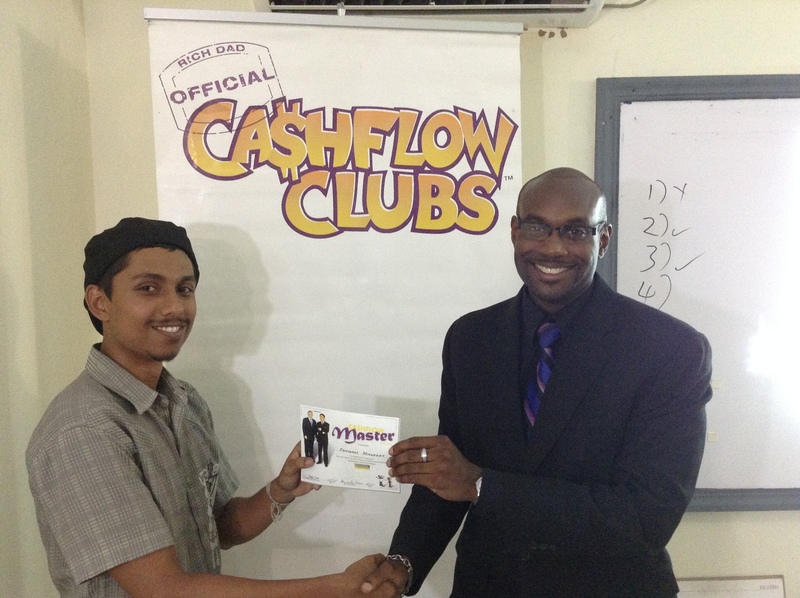 Through his work with entrepreneurs, Roger Moore, President of Cash Flow Clubs (Trinidad and Tobago), has been using the six-time New York Times Bestseller “Rich Dad, Poor Dad’ currently the most successful book on personal finance, to demonstrate the simplicity of his cash flow concept which is proven to be highly beneficial to entrepreneurs. When compared with traditional accounting principles, simplification and added value are the greatest attributes associated with this concept. “We have a different definition of an asset. An asset puts money into your pocket every month, a liability takes money out of your pocket. We teach people to acquire assets (real estate, etc.,) to aim for multiple sources of income” said Moore. Through the simulations’ approach, individuals are taught how to raise capital for their investments, and are also able to practice raising capital repeatedly in the simulations, until they get it right. Moore truly believes that his organization has found the solution to “income inequality” which is a major worldwide problem. 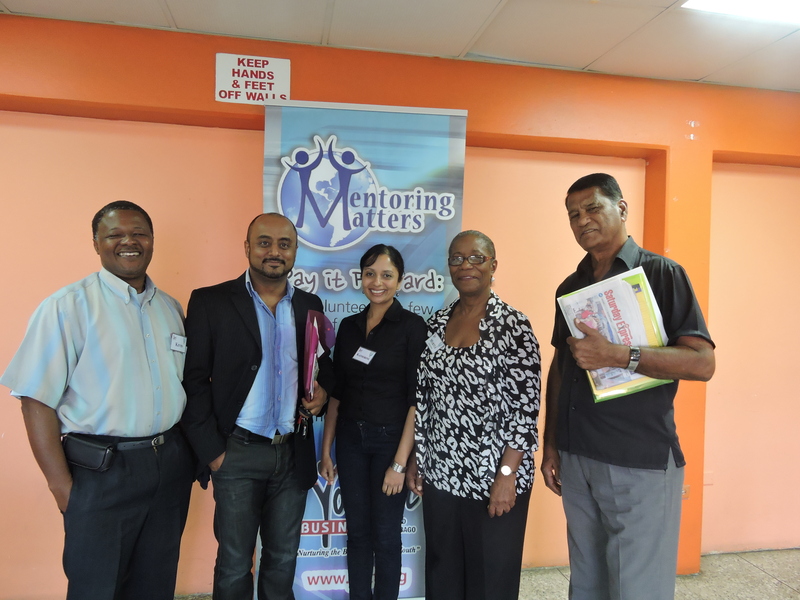 JUST ONE minute into my conversation with performance management consultant, training facilitator and Youth Business Trinidad and Tobago YBTT mentor, Pearl Yatali Gonzales, was sufficient evidence of her passion to empower and support young people, particularly entrepreneurs. Briefly describing her personality, she stated: “I believe that success is continuous learning; I am a fun-loving, caring and helpful person with a pinch of sarcasm.” Interestingly, the sarcasm has to do with Gonzales’ dislike for poor service behaviour which she believes is detrimental to the progress of any society. 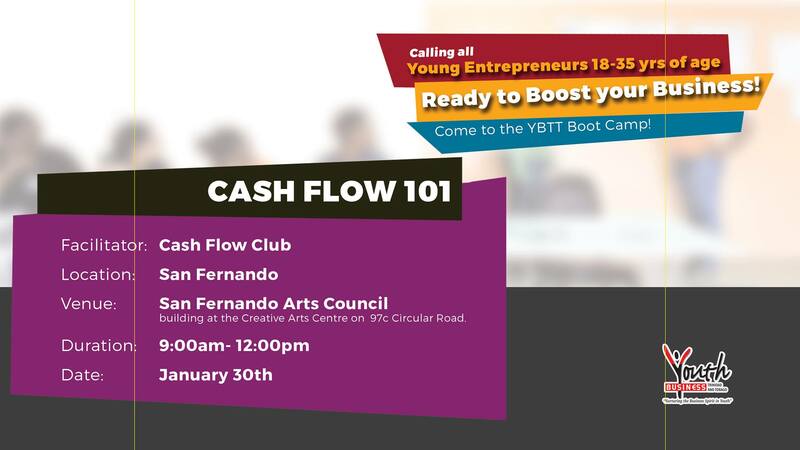 Gonzales’ love for developing both young wantrepreneurs and existing entrepreneurs, was the greatest influence in her association with YBTT for the past five years. She is YBTT ’s facilitator of the life skills’ component of the entrepreneurial training which is the foundation requirement for starting the entrepreneurial journey. She is also one of its longest serving mentors. As she puts it, “YBTT mentorship programme offers entrepreneurs their first step in networking, improves their ‘cold-calling’ skills, as well as an introduction to potential financiers and investors.” YBTT entrepreneur Keigan Lewis who has been one of Gonzales’ mentees for the past two years was happy to share his experience: “Gonzales was the best mentor that I have crossed paths with, as she was able to assist me in realising my greatest entrepreneurial potential.” Since facilitating this component of the training, approximately 60 young entrepreneurs have reaped the benefits from her tutelage, as they were able to discover their true being and effectively link that knowledge to their entrepreneurial pursuits. Gonzales has been described by many, as a taskmaster who is determined to successfully measure outcomes aligned to the training. “Through my involvement with YBTT , I am able to fulfill my personal mission, which is to add value to every interaction with every human being,” she added. In commending YBTT on its efforts in transforming young lives, she affirmed: “YBTT ’s training programmes are designed to change mindsets, as upon successful completion, trainees are able to contribute towards building their communities, as well as start and/or enhance their entrepreneurial endeavours.” A major element that is demonstrated from early in the training, is that true entrepreneurial spirit relates to continuously thinking of new ways to solve problems and generate revenue, and not about creating a job for oneself. Gonzales’ advice to young wantrepreneurs is to explore all opportunities presented to them both within and outside of their communities; to existing entrepreneurs, she throws out the challenge to attempt as far as possible, to meet the needs of their communities, with whatever products and/or services that they can offer, and in so doing, demonstrate the highest level of quality customer service. There is indeed a growing interest in the wood working industry by young entrepreneurs who have decided to become more exploratory and creative. One such entrepreneur is Adrian Niamath, who, through his determination to make a difference, has decided to head the next generation of his family business. 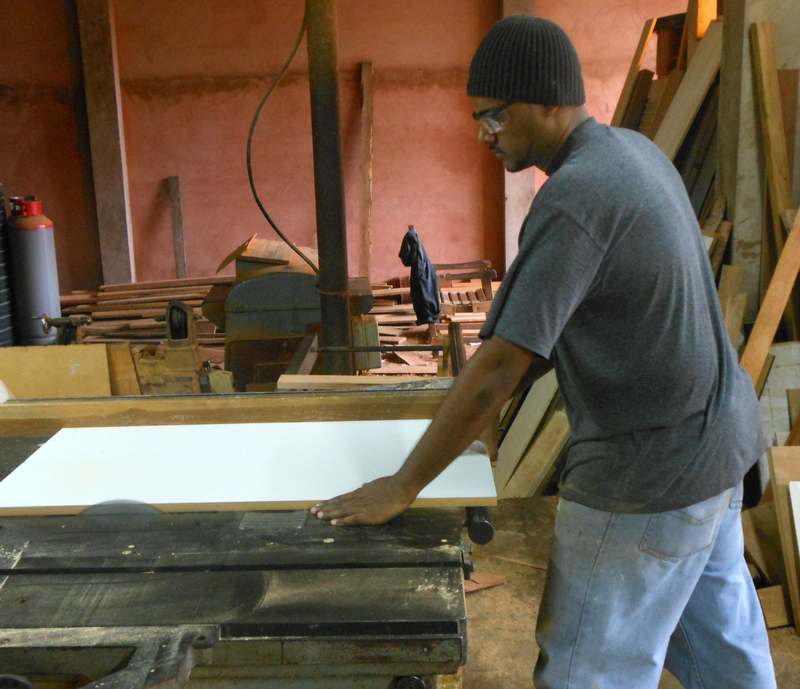 Adrian’s Custom Furniture Designs is a household name in central Trinidad. For the past eight months, Niamath, a certified welder and joiner, took on the mantle of managing the business since the death of his uncle. Niamath is no stranger to the business, as he worked assiduously with his uncle from age 16. He noted, “Though I am formally trained, I learnt quite a lot from my uncle regarding the various intricacies related to this type of industry.” Working from an early age, has provided him with a broad range of experience, which has contributed to the diverse clientele which the business has attracted. Describing his customer-service strategy as par excellence, Niamath said: “Every item requested is custom-built to the specific liking of each customer.” Niamath has always had an interest in starting his own business. However, he felt the need to enhance his business acumen, which influenced his contact with YBTT . He explained: “The training received from YBTT was awesome and a great eye-opener. I was exposed to the various elements associated with the financial aspects of the business. I was also intrigued by the Life Skills’ component, which showed me who I really am.” Niamath’s entrepreneurial expertise is not surprising, as many of his family members were entrepreneurs including his grandparents. Because of his creative mind, coupled with his quest for knowledge in his field, Niamath is continuously thinking of innovative ways to expand the business. In the not-too-distant future, he plans to incorporate metal work which would complement the existing products and services. He also plans to restore the family’s furniture store which was destroyed by fire some 20 years ago. THE CONCEPT of strategic alliances has always played a pivotal role in not only supporting but also strengthening female entrepreneurship. Female entrepreneurship formed a major part of the conversation of GEW efforts globally, and Trinidad and Tobago was also part of that experience. A cross-section of women from various sectors converged recently at the Teaching and Learning Complex, University of the West Indies (UWI), to engage in a fruitful panel discussion themed “Using Strategic Alliances to Strengthen Female Entrepreneurship.” Hosted as a collaborative effort by Powerful Ladies of Trinidad and Tobago (PLOTT ) and The Institute for Gender and Development Studies, UWI , the event was moderated by Dr Paula Morgan, Head of Department, IGDS St Augustine unit, UWI. In opening the discussions, Morgan stated: “This initiative demonstrates the seriousness with which the UWI facilitates its outreach activities in support of independent and aggressive research. Every young person should be prepared to become an entrepreneur.” The panellists comprised industry experts who are also established female entrepreneurs including Dale Laughlin, chairman of Youth Business Trinidad and Tobago (YBTT ); Gillian Wall, founder/chairman and group CEO – IBB Holdings and co-founder of PLOTT ; Jennifer Jones-Morales, PhD candidate, Faculty of Social Sciences, Department of of Management (UWI); Antoinette Maund, chairman, ANMA Holdings Ltd and Anthea Walcott, Owner of Flowers to Treasure. In her contribution Wall stated that “simply ‘belief ’ in oneself causes all uncertainty to disappear; there is no right time for an entrepreneur – start now! “An entrepreneurial spirit should be inculcated in every employee; when more business owners become comfortable with young professionals sharing their dreams, more businesses will be established and of course, the country’s gross domestic product will increase.” Wall also described the importance of the social impact of entrepreneurship created by social entrepreneurs who use commerce to positively impact the environment within which they operate. Laughlin used “Feminine Capital”, a book authored by Barbara Orser and Catherine Elliott, that focuses on unlocking the power of women entrepreneurs, as the basis to showcase the success of some of YBTT ’s female entrepreneurs including Jineal Chichester, Nikita Legall, La Toya Burgess and Asiya Mohammed, all of whom are testimonies to the power of entrepreneurship. BG Trinidad and Tobago (Platinum Sponsor of GEW 2015), through its operational diversity, has proven its corporate worth beyond the global LNG business. The evidence of this is profound according to the founding tenets of its Social Performance Policy. “At BG Group, we have fifteen (15) business principles that set out our core beliefs, values and behaviours that govern the way we do business” said Leslie Bowrin, the organization’s Head of Social Performance. Bowrin continued “social performance describes the way in which we meet our commitments to society; these principles state that we work with neighbouring communities which benefit from our presence; we also listen to those communities, and we support Human Rights within our areas of influence.” The organization firmly believes that social performance begins with recognizing the impact that its business activities would have on the communities and societies within which they operate, that can be either positive or negative. “In our social performance policy, we set out our belief that in order to be effective in meeting our objectives, we need to establish and maintain effective relationships with interested and affected stakeholders, avoid or minimize the negative impact of our activities, and create and deliver opportunities that maximize our business benefits to society” said Bowrin. There are some specific areas of focus that are aligned to the organization’s social programmes, which seek to promote sustainable development within its neighbouring communities as well as the wider national community. “We believe that sustainable development in energy-based economies such as ours, depend on maximum utilization of our hydrocarbon resources for the development of skills, knowledge, competencies and expertise to generate economic activity in other sectors” stated Bowrin. This strategic partnership enables the BG Group to improve the business skills of young people, support young people to start or grow a business, provide employment opportunities for thousands of people who lack the skills to work directly for BG Group or in BG Group’s supply chain, help grow and strengthen the local small and medium-sized business sector, respond to expectations from communities for economic benefits and skills transfer, through job creation and enterprise development and demonstrate BG Group and YBI’s expertise in supporting enterprise development. Long-term sustainability is also a critical success factor for the organization. As Bowrin puts it “when we talk about establishing and maintaining effective relationships, our aim is to ensure that host societies and host communities are broadly happy for us to proceed with our investments and activities, and to ensure that they remain broadly supportive in the long run.” The organization believes that it must secure a “social licence to operate” from its stakeholders. Though Governments provide the regulatory context for its operations, a range of other stakeholders also influence the organization’s ability to meet its business objectives successfully. 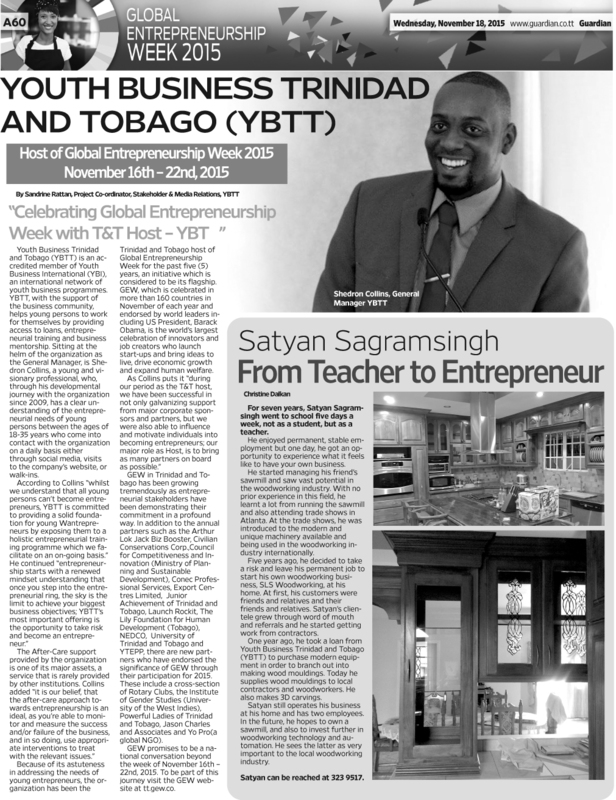 Youth Business Trinidad and Tobago (YBTT) is an accredited member of Youth Business International (YBI), an international network of youth business programmes. YBTT, with the support of the business community, helps young persons to work for themselves by providing access to loans, entrepreneurial training and business mentorship. Sitting at the helm of the organization as the General Manager, is Shedron Collins, a young and visionary professional, who, through his developmental journey with the organization since 2009, has a clear understanding of the entrepreneurial needs of young persons between the ages of 18-35 years who come into contact with the organization on a daily basis either through social media, visits to the company’s website, or walk-ins. 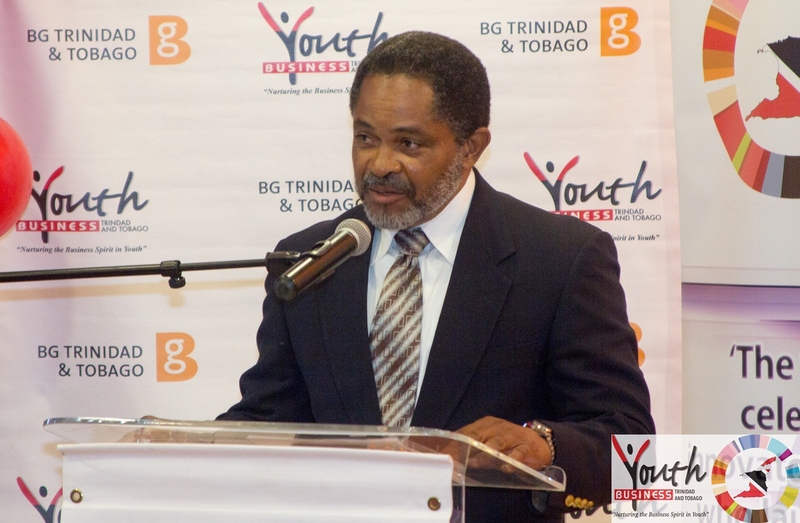 Because of its astuteness in addressing the needs of young entrepreneurs, the organization has been the Trinidad and Tobago host of Global Entrepreneurship Week for the past five (5) years, an initiative which is considered to be its flagship. GEW, which is celebrated in more than 160 countries in November of each year and endorsed by world leaders including US President, Barack Obama, is the world’s largest celebration of innovators and job creators who launch start-ups and bring ideas to live, drive economic growth and expand human welfare. GEW in Trinidad and Tobago has been growing tremendously as entrepreneurial stakeholders have been demonstrating their commitment in a profound way. In addition to the annual partners such as the Arthur Lok Jack Biz Booster, Civilian Conservations Corp.,Council for Competitiveness and Innovation (Ministry of Planning and Sustainable Development), Conec Professional Services, Export Centres Limited, Junior Achievement of Trinidad and Tobago, Launch Rockit, The Lily Foundation for Human Development (Tobago), NEDCO, University of Trinidad and Tobago and YTEPP, there are new partners who have endorsed the significance of GEW through their participation for 2015. These include a cross-section of Rotary Clubs, the Institute of Gender Studies (University of the West Indies), Powerful Ladies of Trinidad and Tobago, Jason Charles and Associates and Yo Pro(a global NGO). 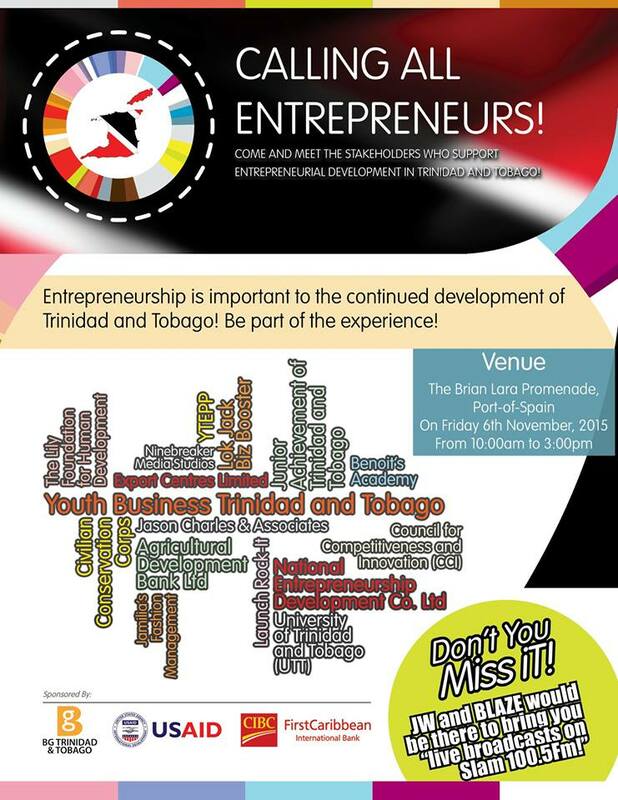 GEW promises to be a national conversation beyond the week of November 16th – 22nd, 2015. To be part of this journey visit the GEW website at tt.gew.co. Global Entrepreneurship Week is noted for showcasing the creativity and ingenuity of both GEW partners and stakeholders, but more particularly, it demonstrates the enormous potential that resides within young people desirous of owning businesses. YoPro, a global non-governmental organization whose interest is targeted towards developing and preparing individuals for both paid-employment and self-employment, is set on making an indelible mark along the entrepreneurial landscape for GEW 2015. At the end of the experience, participants would be better positioned to present their ideas and/or business proposals to stakeholders including Banks and Investors with utmost confidence as well as having the understanding that they would be able to move their business venture to the next level. To become a partner, send us an email at srattan@ybtt.org. The success of entrepreneurship lies at the core of ensuring that all the dots are connected so that both existing and future entrepreneurs would be able to navigate the entrepreneurial landscape successfully. During our interactions with entrepreneurs, we have found that many of them are still unfamiliar with the myriad of support services that are available. On Friday 6th November, 2015, these stakeholders will converge on the Brian Lara Promenade to provide a creative experience for participants particularly secondary school students. Sharing the space together with YBTT, will be Benoit’s Academy, Civilian Conservation Corp., Conec Professional Coaching Services, Council for Competitiveness and Innovation (Ministry of Planning and Development),, Export Centres Limited, Jason Charles & Associates, Launch Rockit, National Entrepreneurship Development Company Limited, Ninebreaker Media Studios, The Lily Foundation for Human Development (Tobago), University of Trinidad and Tobago, YoPro and YTEPP. Entrepreneurs who have benefitted from the services of these stakeholders as well as those who are thinking of venturing into the entrepreneurial realm, would be on hand to articulate on their respective initiatives, and in so doing, receive the much needed to advice to begin their entrepreneurial journey. As we attempt to strengthen the entrepreneurial curve, we are issuing a call to action by Wantrepreneurs, New Entrepreneurs and even Entrepreneurs who have had both success and failure in their entrepreneurial endeavours, to attend this event which will definitely be a renewed shining light!